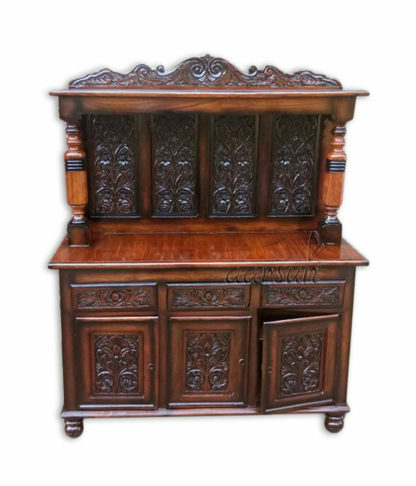 Upgrade your home with Aarsun Woods Antique Style Dual Color Finish Wooden Cabinet. 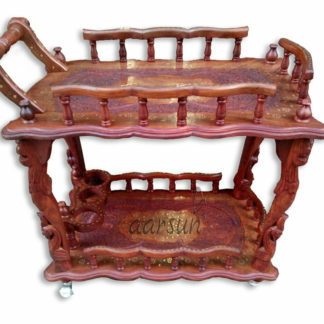 Wooden Furniture always beings a sense of uniqueness and class to your living room. 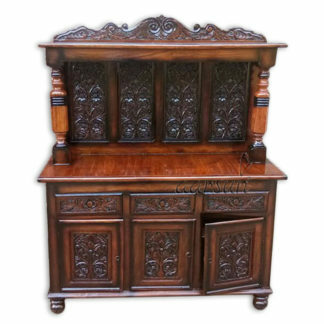 And when it comes to handcrafted antique replica furniture, it just becomes a focal point of your living room. The cabinet is half-front-open with Drawers and Doors beneath the main open front. You can easily use it to store documents and other stuff such as crockery, showpieces. This is a Multi-purpose storage cabinet. Let your imagination do the thinking and turn this cabinet into a wonderful piece. 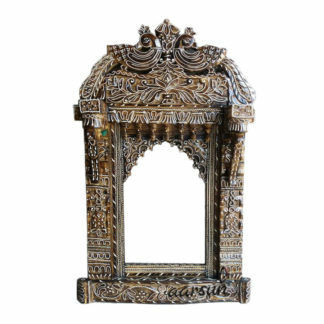 Moreover, we, at Aarsun Woods, can customise the product as per your need. There are a number of designs available in Wooden Storage Cabinet, we suggest you to have a look at Aarsun Woods Wooden Cabinet.